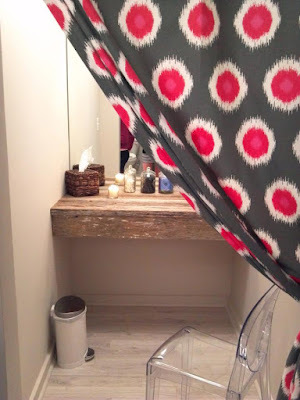 I thought I would start my first blog post of the year off with something healthy and inspiring. After all, I'm sure those resolutions are in full swing. 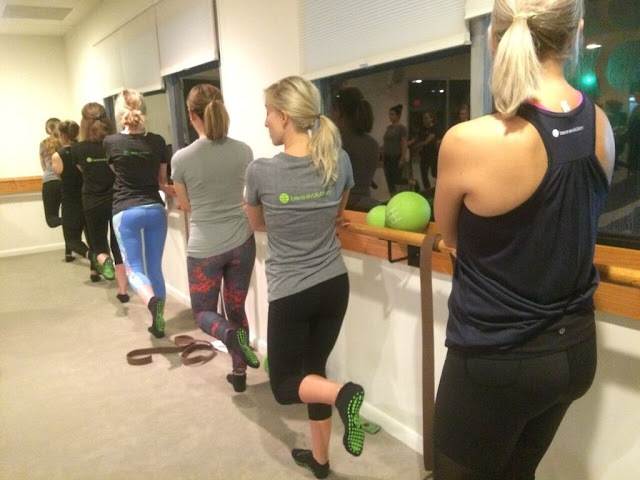 Back in November, the Charleston Blog Society had the pleasure of attending a private event at Barre Evolution. I was particularly excited about this event because it involved physical activity. I love socializing after work, however that's also the time that I normally get a workout in. I find myself having to choose between the two sometimes. 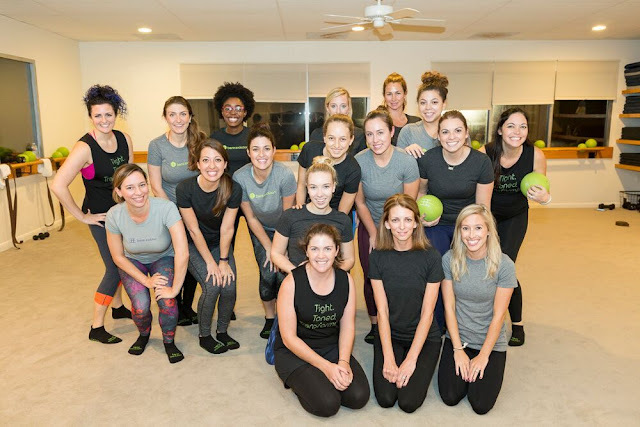 However, this was the perfect scenario, hanging out with local Charleston bloggers and getting my workout in for the week. 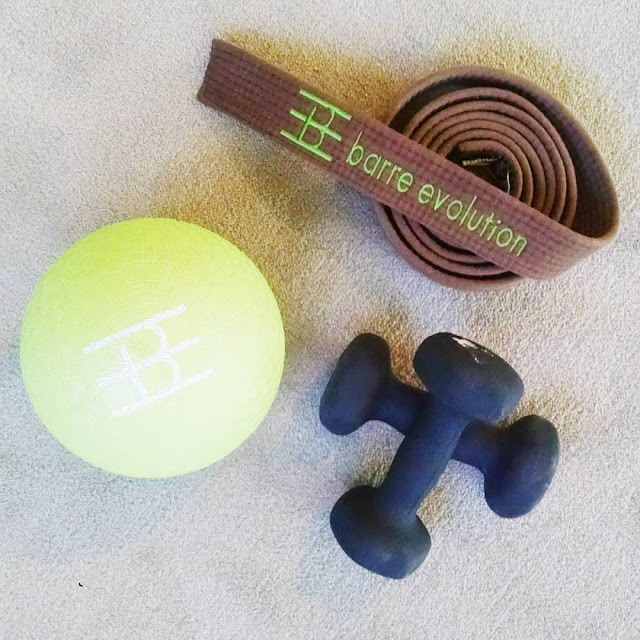 Upon our arrival, we received gift bags with grip socks, a barre evolution t-shirt, a few guest passes and a coupon for Blend Juice Bar. A variety of juices were set up for us post workout, courtesy of Blend. 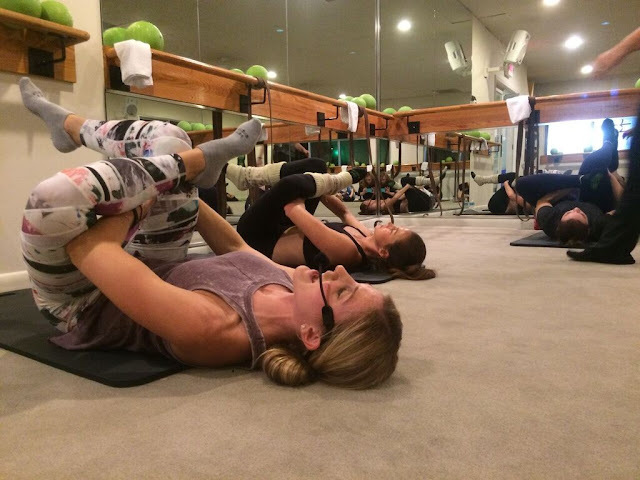 This was my first time taking a barre evolution class. I've heard a lot of great things, mostly that it's extremely hard but I was excited to form my own opinion. 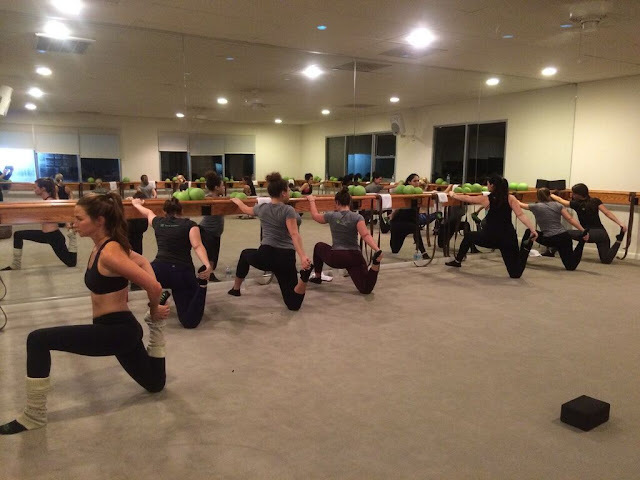 The gym I go to offers barre classes, but they are structured a bit differently than a studio dedicated strictly to barre. I left that evening feeling like I had a great workout and also concerned about how I was going to get out of bed the next day. Our instructor for the evening was Teresa and she was amazing. I was very impressed that she called many of us by name during class, considering she had just met our large group. She was very hands on, ensuring that each of us had the proper form as well as demonstrating adjustments for different fitness levels. Something about those little personal touches made the experience that much better. The owners, Nancy and Nicole, along with the other staff members made us all feel so welcome. 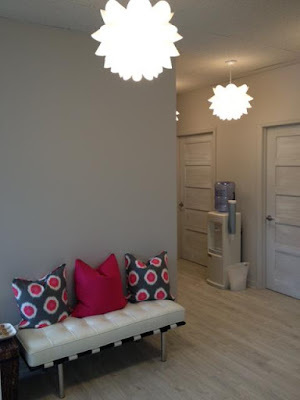 The studio is clean and well organized and they also have cute little dressing rooms, providing a comfortable environment for their members. I enjoyed every minute of this total body burning workout. I encourage those of you that have never taken a class to give it a shot. 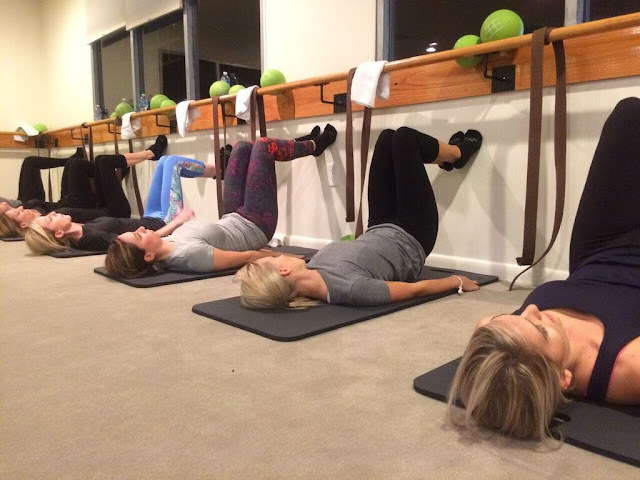 For me, it was nice to incorporate a completely different workout than I was use to. It does the body good to change up your routine from time to time and also produces results. 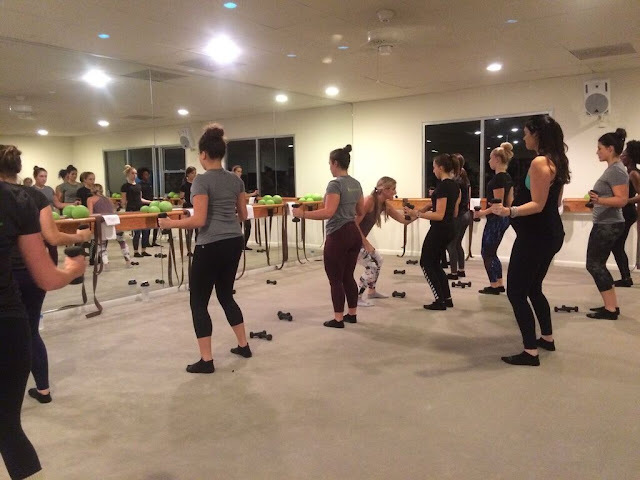 Barre evolution was both challenging and rewarding and I can't wait to return for another class. Thank you to the West Ashley team for a great first experience! I've heard wonderful things about this place; would love to check it out. I've got to get back into the habit of exercising daily. I feel so much better when I do! I love barre! My best friend got me started on it and every time I walk out of the class I feel the burn, but in a great way! It's such a great workout and makes me use muscles I don't normally use :) Glad you had just as much fun!